President Tommy E. Remengesau, Jr., on April 9, expressed his deep appreciation to the Japan International Cooperation Agency’s (JICA) for their continued presence in the Republic, strengthening people-to-people exchange and contributing to nation building through its volunteer program. Mr. Tsukasa Maeda, a JICA Volunteer assigned to the Palau Community College in the area of refrigeration and air conditioning, is the newest addition to the program. 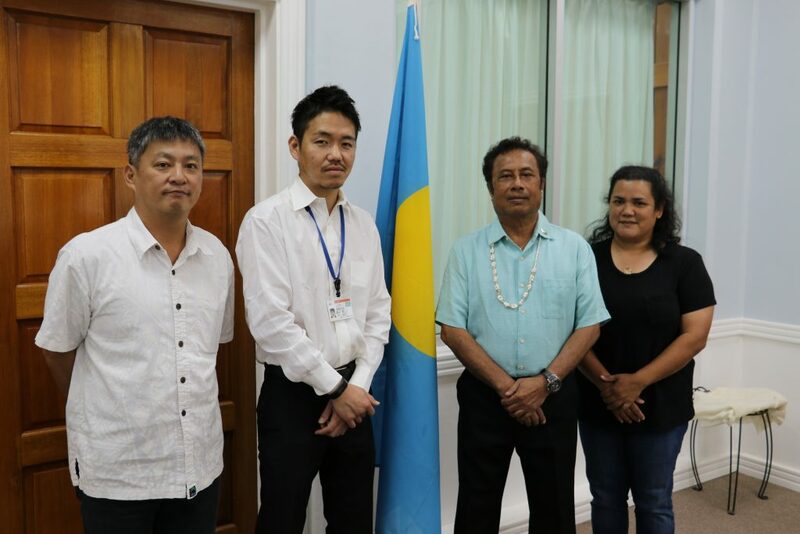 Welcoming Mr. Maeda during a courtesy visit held at the Office of the President on April 9, President Remengesau noted refrigeration and air conditioning is an area that Palau appreciates support and assistance on. Mr. Maeda joins a long list of volunteers who are actively engaging and providing much-needed support and cooperation in the area of primary school education, road construction, handicraft, power generation technology, nutrition, mathematics education, physical education, and dental technology. The volunteers are assigned to various agencies, including the Ministry of Education, Koror State Government, Palau Public Utilities Corporation and the Ministry of Public Infrastructure, Industries and Commerce. Mr. Maeda revealed the close and friendly relations Palau and Japan shares, and Palau’s pristine ocean environment are among the reasons why he chose to volunteer in Palau.